QUESTION: Jehovah’s Witnesses have long understood the facets of the sign of Christ’s presence to be a description of conditions that would precede the great tribulation. My question is, are the various facets of the sign that Jesus describes merely a description of the great tribulation, rather than events that lead up to it? There is an initial sequence of events that leads up to the tribulation, but we should not suppose it stretches out over more than a century, or even over a few years. This fact is confirmed in Revelation with the opening of the symbolic scroll with the seven seals. The sword of war, famine and disease that Jehovah brought upon Jerusalem and surrounding nations obviously induced a tribulation —a time of great distress. But for us, the real issue is not the sequence of events, but whether or not the symbolic seven seals have already been unsealed. Since 1930 the Watchtower has taught that all the seals were unsealed in the 1914 period. In fact, up until about 1970 the Watchtower even taught that the great tribulation began during the First World War, but that God cut it short. Nevertheless, even after that folly was amended the Revelation Grand Climax commentary, which was published in 1988, continued to teach that the seven seals were consecutively opened around 1914. That includes the sixth seal, which betokens earth-shaking, cataclysmic events, such as the sun and moon going dark and the stars falling from the heavens and every mountain and island being rocked from its foundation. 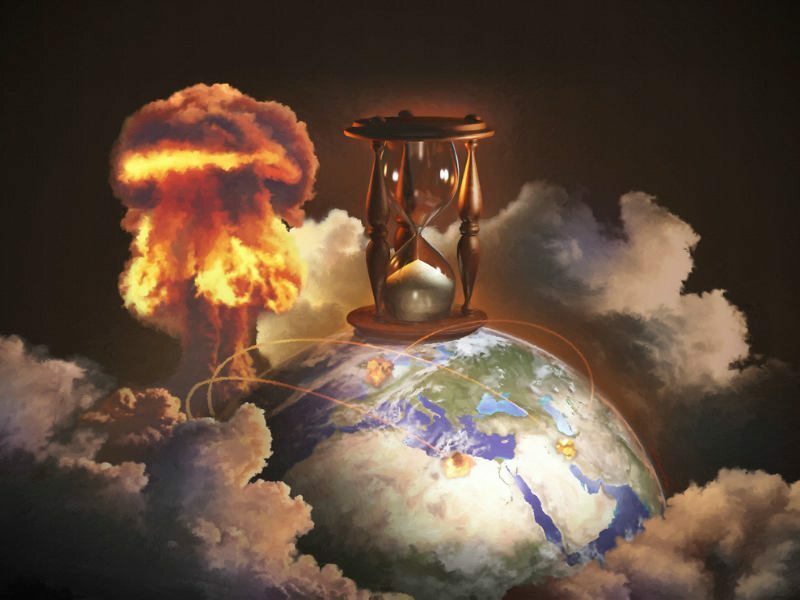 Since no such global calamity has occurred —even after the sixth seal was supposedly undone, laughably, the Watchtower has been compelled to claim that the world has been rocked over the course of the past century by preliminary temblors leading up to the Big One. Jehovah’s Witnesses have thus been led to believe that the opening of the symbolic seals of the scroll of Jehovah’s awe-inspiring judgments is anticlimactic. In this year, 2018, the Watchtower continues to proclaim that Christ came in 1914 and WW1 and the Spanish Influenza were the visible result of his grand coming. Yet virtually no one alive today has been a witness to those events. That is a problem in view of the fact that Jesus said “when you see all these things.” The truth is, we have seen none of the things Jesus foretold. The stark reality that must eventually confront Jehovah’s Witnesses is that war, famine and pestilence are the future; albeit, judging by the ominous developments in recent weeks, it is our immediate future. Take for example the previously-cited verse where Jesus stated: “there will be fearful sights and from heaven great signs.” Have you seen fearful sights and great signs from heaven? 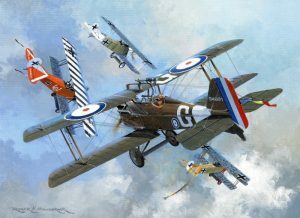 Were the canvas-winged bi-planes of WW1 the fulfillment of the things Jesus said must occur? On the other hand, on March 1st Vladimir Putin unveiled Russia’s hypersonic missile that can streak across the heavens at over 5,000 mph and zoom into its target at treetop level, evading all missile defense systems. We are not talking about science fiction. This is real. Furthermore, Russia and China are developing weapons that can blast satellites out of the sky. Consider also, killer robots are already in production. Do you think that it might be a fearful sight to see a machine slaughtering people indiscriminately? Most ominous, the US, Russia and China are all racing to place nuclear weapons in the heavens —in space. In short, the various features of the sign Christ foretold, such as war, famine and pestilence, occur immediately prior to the great tribulation. And the tribulation is obviously a direct result of the tumult of war —bringing down governments and long-standing, seemingly permanent institutions, basically crashing the system. As regards food shortages, typically food shortages and famines occur as a result of crop failures and to a lesser extent, disruptions caused by war; but in the modern world of just-in-time delivery, food shortages could come about in a time of plenty if a single link in the distribution chain is broken. For example, a war in the Middle East could shut down the Straits of Hormuz, a strategic choke point through which passes tankers loaded with oil that supply half the world’s petroleum. No oil —no fuel for delivery trucks and farm equipment or raw material for fertilizer. A global pandemic seems inevitable. Not only because more and more microbes are developing resistance to antibiotics —creating so-called “superbugs,” but fiendish men have developed bio-weapons that could easily be released in populated areas. Happily, although we are facing world war and death and destruction on a scale never before experienced, and unprecedented persecution, Jesus exhorted us to lift ourselves up and take heart when we see all these things start to unfold. And most reassuring, however severe the world’s greatest time of trouble may be, God will cut it short on account of the chosen ones. With the nuclear powers of this world now perilously one shot away from a global conflagration, isn’t it time for Jehovah’s Witnesses to reconsider the words of Jesus regarding the things that must shortly take place?